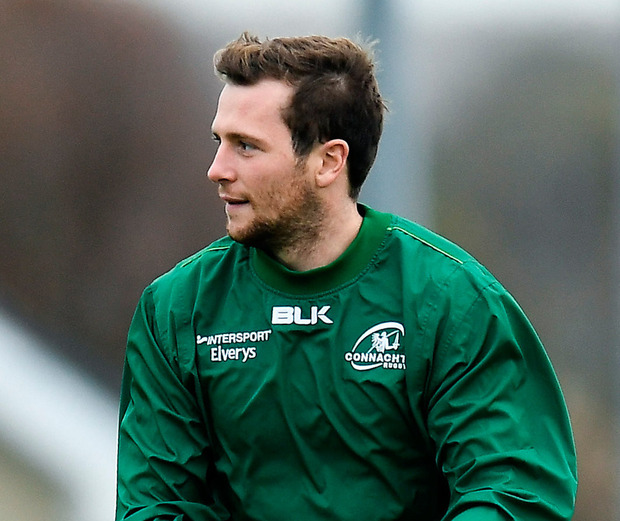 Jack Carty is hoping that the devastating cameo he produced after coming on against Benetton Rugby on Friday night sets the template for the remainder of the season. The 26-year old returned from his Irish debut to score 10 points in the final quarter and set up a second try for Matt Healy as Connacht remain in control of their PRO14 destiny in third place on scoring difference over Cardiff Blues, after a 29-14 win over the Italians. Now they will turn their attention to the European Challenge Cup quarter-final away to Sale Sharks on Friday and Carty reckons they have plenty to prove. "We have been there or thereabouts the last couple of years. Last year we had the quarter-final against Gloucester here. We probably didn't show up," he says. "Then the year before we had a play-off game and it went down to the wire in Toulouse. We have been there before, but it's about taking the final step now to push on, and get into the semi-final and win something." Carty's conversion of his late try saw him become Connacht's top scorer in the history of the league, but the Athlone man still has a long way to go to catch the province's all-time top scorer Eric Elwood, who amassed a haul of 1,038 during his career, which spanned the amateur and professional era. Elwood scored 473 points in Europe, 318 points in the Celtic League and Celtic Cup, all of which came in the professional era, while his haul of 247 points in the inter-pros also spanned the amateur days. Carty's conversion of his bonus point try saw him edge past Ian Keatley as Connacht's record points scorer in the PRO14 with 487 points. Keatley, currently on loan to London Irish from Munster and who will join Benetton Rugby in the summer, scored 486 points in the league during his three seasons at the Sportsground. Carty also edged past Keatley in overall scoring for Connacht, moving into second place on 691 to Keatley's 685, and he is looking forward to setting more milestones at the Sportsground after recently signing a new two-year deal. He said he had little difficulty readjusting to life at the Sportsground after making his Irish debut in the Six Nations. "It was about fitting back in, different systems, different players, different coach. It wasn't about me it was about me fitting back into the team. I was very happy that I did that. Sometimes when you go away and you come back, you might try to stand out a bit. "If you try and do that the lads here will clip your ear. It was about integrating back in with the lads and having a really good week."